I must speak of the transit of the slaves in the West Indies. This I confess, in my own opinion, is the most wretched part of the whole subject. So much misery condensed in so little room, is more than the human imagination had ever before conceived. William Wilberforce, speaking before the House of Commons in 1789. The middle passage Wilberforce speaks of in this extract from his 1789 speech was one element of the trade route known as the 'Triangular Trade', connecting Europe, Africa and the Americas. Slavery had been practised for thousands of years by the eighteenth Century, but the Transatlantic Slave Trade was dramatically different in nature and scale to anything that had existed before. Great wealth was generated by this trade, which was operated with a brutally efficient system. Ships would sail full of trading goods on one leg of the journey, filling the space with slaves on the next. The Triangular Trade developed out of the growth of European colonies in the Americas, which had initially relied on the labour of indigenous people. The success of crops such as tobacco and sugar created a huge need for labour. The economic, social and psychological damage caused to African and Caribbean societies by the transatlantic slave trade makes it one of the greatest crimes against humanity. Numerous goods produced in Britain were rare and valuable in Africa, including guns, ammunition, alcohol and manufactured cloth. These formed the cargo of the ships known as 'slavers' sailing from Europe to America. The economies of many British cities and trading ports depended on the slave trade. Bristol’s industry grew due to the high demand for brass pans and kettles; Birmingham profited from selling guns, chains and padlocks. Overseas goods such as silk and cowrie shells were also imported to Britain and then exported to Africa. 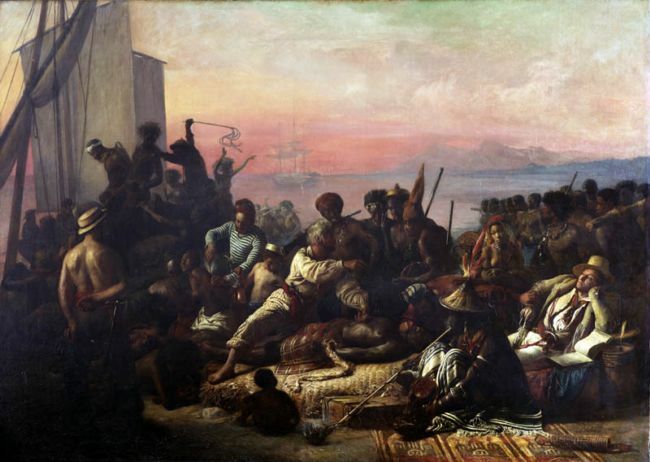 Goods from Britain and Europe were exchanged with the slave traders for men, women and children. Other African goods prized by the Europeans included gold, ivory and spices. The middle passage itself, the journey from Africa to the Americas, took around three months. 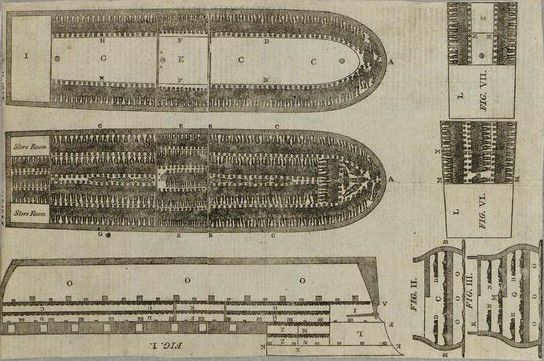 The conditions on board for slaves were horrific. They wore chains, shackles and neck collars and were densely packed in the hold of the slaver ship. Many died en route from disease or the effects of overcrowding. Initially, slaves were prisoners of war taken in conflicts between African states. These were fuelled by guns provided by traders from Europe. Later, up to 70 per cent, were simply kidnapped. It is thought that between 1500 and 1900 around 15 million Africans were forcibly removed from Africa. 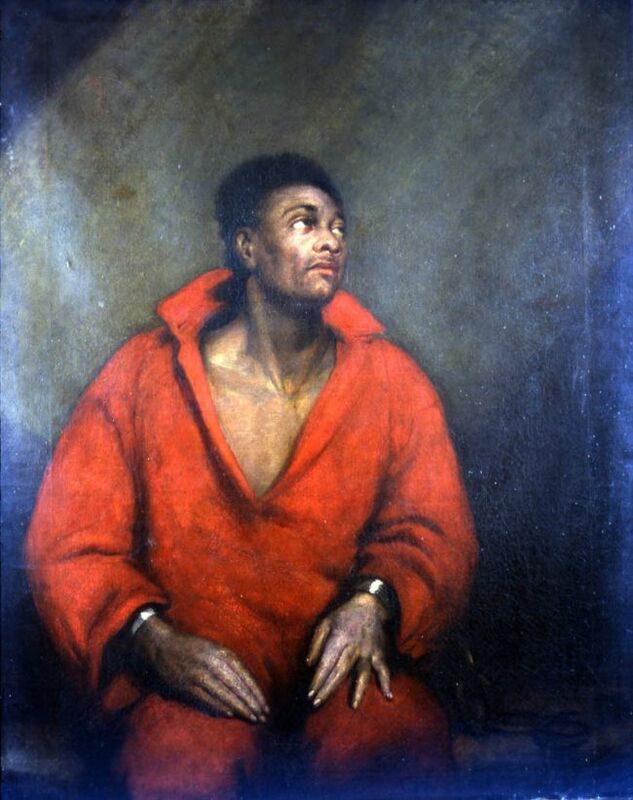 By the 18th Century, Britain had become the largest slave-trading nation, transporting about 2.8 million Africans between 1700–1800. Plantations in the Americas produced crops such as sugar, tobacco and cotton which made the owners immensely rich. After delivering their human cargo, the slavers filled their hold with plantation goods and returned to Europe.